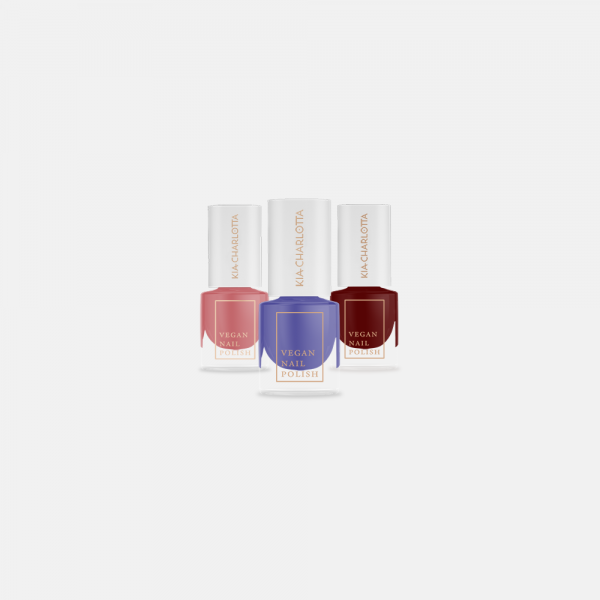 This trio is made for those who love to have the top trendy colours on their nails. The set includes a beautiful taupe pink, a classic winter perfect, dark red and a trendy lilac-blue vegan nail polish. The names of the colours are to inspire you to make your dreams a reality. There is nothing wrong with chasing our dreams. In fact, the sooner we start chasing for them the sooner they will become a reality. Work hard, be determined and just go for it; make your dreams your goals.